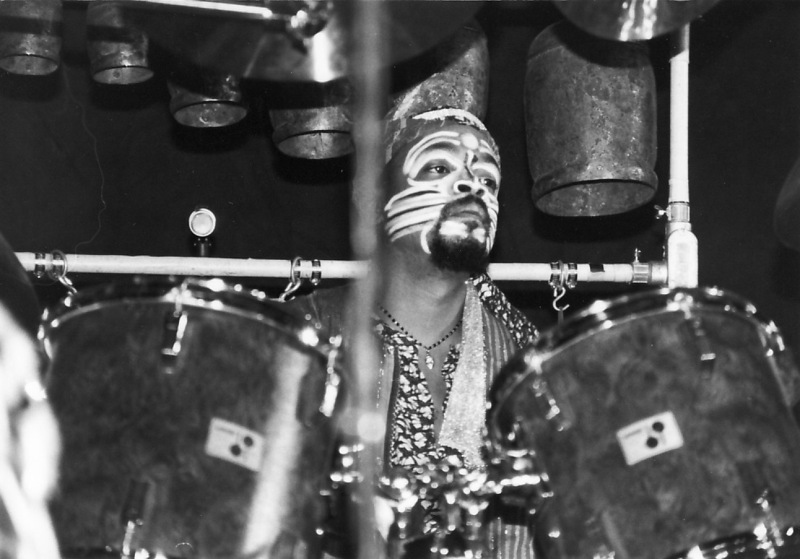 Drummer extraordinaire Famoudou Don Moye was born in Rochester, New York. In high school, he began playing drums, congas and bongos and went on to formally study percussion at Wayne State University in Detroit. Moye has worked with Steve Lacy, Pharoah Sanders, Sonny Sharrock, Randy Weston and Art Taylor, collaborated extensively with Moroccan musicians and has been a permanent member of the innovative, avant-garde quintet, the Art Ensemble of Chicago (AEC) since 1969. Moye’s recordings have won him the praise of critics at such esteemed publications as Rolling Stone, Down Beat, Melody Maker, The New York Times, Audio Magazine and Stereo Review.